Today 16th June 2013 marks the birth of Tamil month ‘Aani’…. Aani is important as in Thiruvallikkeni Divyadesam, Thelliya Singar Brahmothsavam takes place in this month. 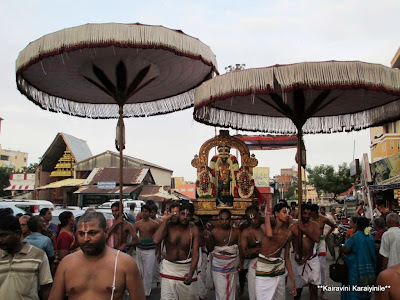 This year, the Uthsavam starts on Tuesday, 18th June [17th is Angurarpanam]; On 20th June morning would be Garuda Sevai; 23rd Evening is Yanai vahanam and on 24th morning would be Thiruther. Besides such important Uthsavams, there are many festivities in Thiruvallikkeni and on ‘Pancha parvam’ ~ Tamil Month starting, Pournami, Amavasyai, Ekadasi (2) days, there would be purappadu of Sri Parthasarathi. 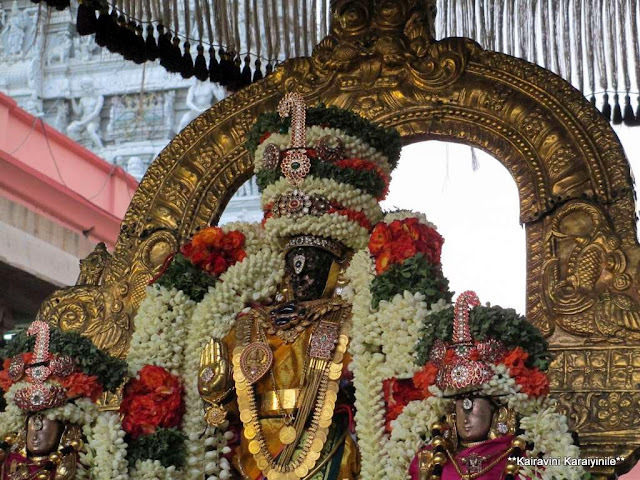 Today evening Sri Parthasarathi with his consorts [Ubaya Nachimar] had chinna mada veethi purappadu. 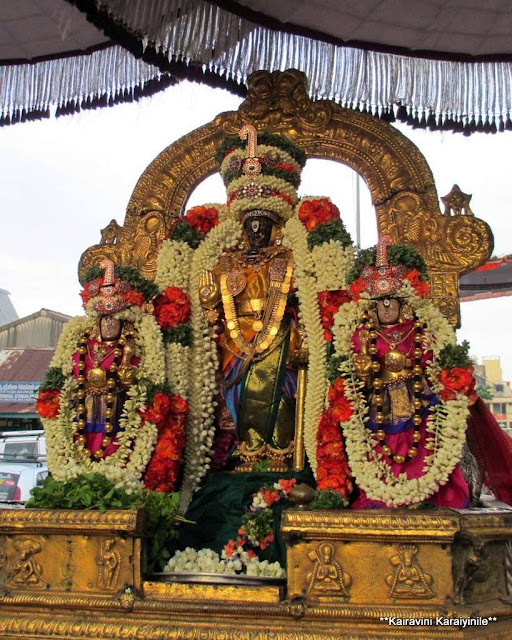 Everytime you have the fortune of having darshan of Sri Parthasarathi, more would you start adoring the Supreme God. Today, the garlands were spectacular and the vasthram was invigorating. 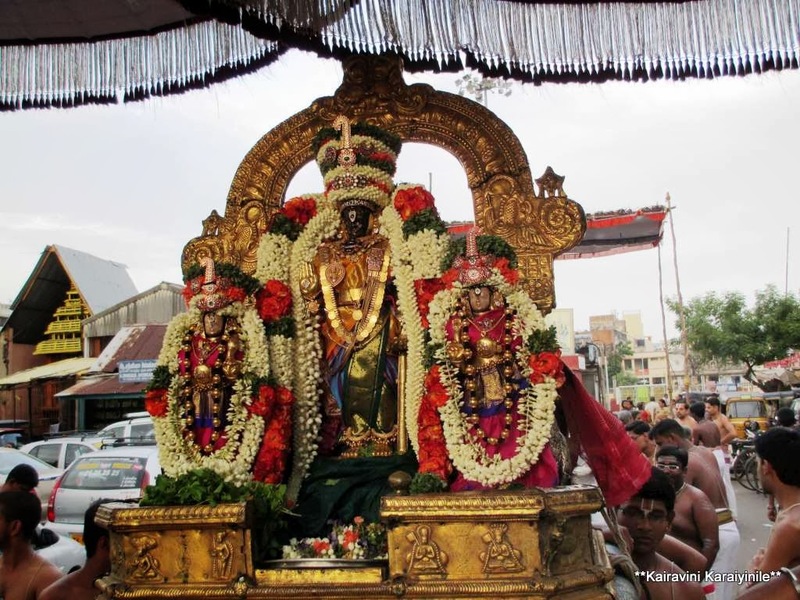 Most beautiful flowers and ornament which Emperors will wear were adorning the Lord and His consorts were adorning specially made ornaments [Thiruvabaranam] submitted by a group of bakthas. It was ‘Thura’ on the crown; medallions [pathakkam] of Chandra and Surya and on the forehead was the ‘Sira(s) Bhushanam’ – all glittering but could not match the beauty of our Glorious benevolent Giver of all Boons… Lord Sri Parthasarathi. Here are some photos of the purappadu and One could view the newly submitted ornaments, which reportedly cost more than 12 lakhs.